Grrr This app does not allow blocking any repeater tx. Not interested in a couple ham repeaters, already have ham radios, with better signals. Love it! Listen to it from everywhere. Really enjoy this app. It was everything I was looking for in a scanner and so user friendly! I just don’t think candy crush adds should play right when you try to use an emergency app. That’s honest not cool. If you want an emergency app that’s not going to play adds multiple times before you can hear the scanner or use the app at all, than don’t buy this. Honestly just don’t download it at all. Nothing but adds and wasting time every single time no matter what when you try to open it just adds adds adds! Don’t down load it’s nothing but adds not even one star. Works great, you can record. Best thing about it is that it’s F R E E! I was a voluntary fireman for years and I listened to this kind of info for years. This works just as nice as my old scanners did. Beautiful....yup 5 stars. Love this app. Enjoy the fact that you can follow action in different states....there is always some action going on when ones unable to sleep. Brings back childhood memories....we had a scanner at our home growing up.....and now we have things called APPS! I have had many scanner since 1967 my new one has the city buses and the trucks on 19 SW the yell play music and their language is rough! The buses don’t say much! They need their own frequency! But l like to hear our PD being the way all should law should be and l respect them all. Good job guys!!!! Why is there no captain on this radio station. I have had nothing but problems with that station. It was off line for 2 days. Comes back up for a few hours. I paused it to make a phone call and now its back offline. It’s the only channel I like. That’s why I gave your app a 2 rating!! Channels don’t always play when I click on them, don’t know why. They’re monitored 24 hours a day so, you’d think they would play when selected. When it works, it’s a good app. It’s great for my small town but where I am from only offers public works. And it’s a fairly large city, one of the top 3 largest in my state. For some reason during severe weather it does not work at all. This has happened twice recently during tornado warnings. But for free it’s great especially since the Ems and fire station are almost next door to me. Love this app site. Free download, ease of choices for locations. Only add pops up when I first open the app. Would definitely recommend to family & friends. This is a wonderful application. Helps to keep you up to date in real time with emergency and non-emergency events in the area you specify. Thanks for the app. It is very useful and much appreciated. I love this app. 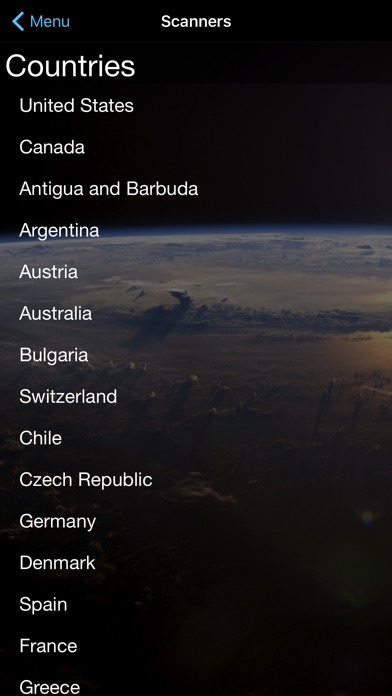 The police and fire scanner allows me to pick up channels from all over the world. If you are bilingual, you’ll love listening to transmissions in Spanish, German, Russian, or a seemingly endless string of others worldwide. I especially love the wide variety of available music genres. I can listen to music 24/7, if I want to, and the choices of genre lead me further to more options of the genre, including radio stations. My only displeasure involves the Calm Radio subscription commercials that air almost every time a music selection is finished playing. It’s akin to listening to public radio - you can’t get around them, unless you subscribe. It’s a police scanner app. Performs exactly how you would expect. Enjoyable app to stay current with activities around neighborhood. Long time user! Many times, recommended! Beside local monitoring, when something is happening elsewhere in the US or world, researching the incidents state county allows you to listen to the action in real time from those local law enforcement professionals! Can’t recommend this selection more highly! I recommend it to you, your family and friends! 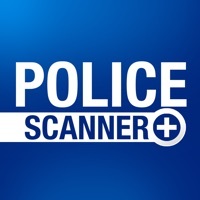 This is a great police scanner app. 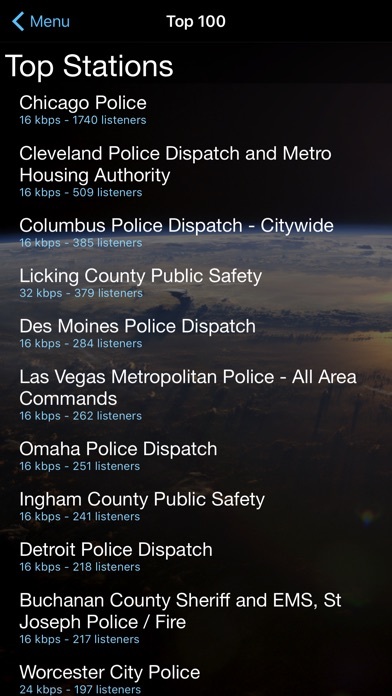 Easy to use, any police scanner you can think off, most features, best police scanner app in the app store. 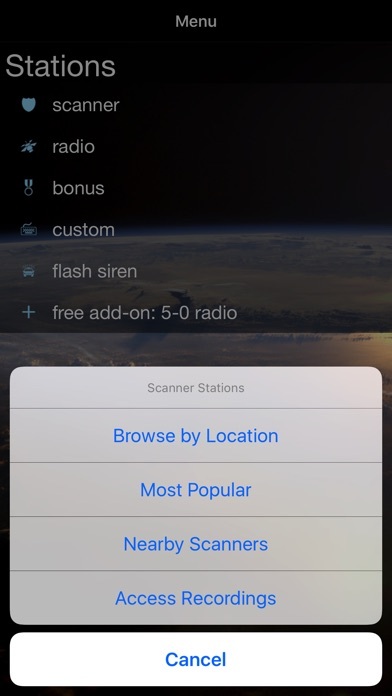 Got this app for the scanner, but it also has several other features including a great web radio. All features including the scanner are easy to use, and very useful. 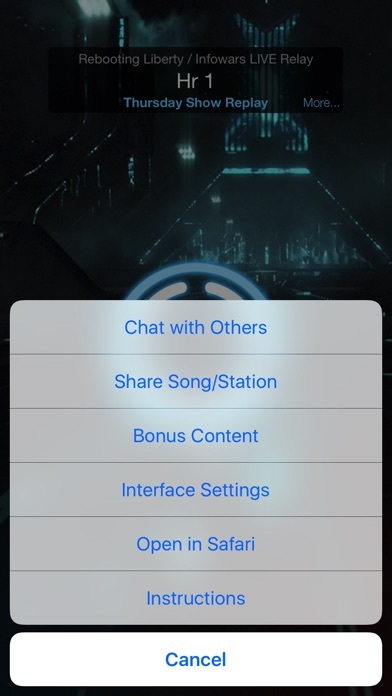 I thought it was a police scanner but you have to upgrade to get that, so now it’s not a free app anymore. How sad. 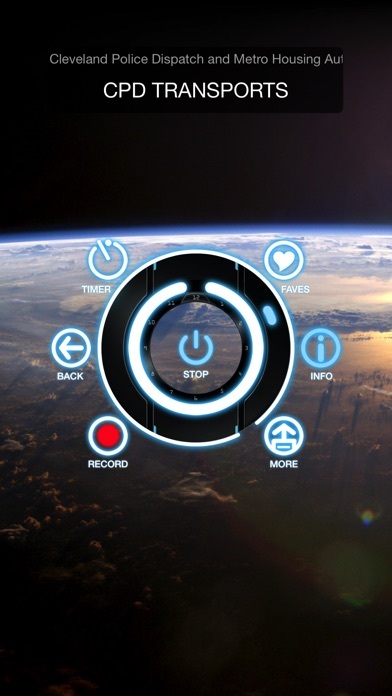 Great app !!!! Only thing IMPD and Marion County Sheriff department Indianapolis frequency seem online only a little more than 60% of the time. Would like to see Hendricks Country IN add Sheriffs department, Brownsburg, Avon and Pittsboro PD frequencies. I like knowing what’s going on in my area. For a variety of reasons. I usually absolutely love this app. I will listen to it from the time I wake up till I go to bed. However on with saying that the Marion County Sheriff one does not work all the time. It has been down for 4 days now. The Indianapolis police one doesn’t work at all. The Johnson county one only plays every now and again. This is horrible because I am forced to listen to someone where else that I don’t even live!!!! That is the reason I gave such of low rating of it gets fixed I will adjust my rating. I like it, I’m able to get updates enroute to the station and I can listen to my son when he’s working across the state at his department. His feed is about three minutes behind actual, I’m not sure if this is across the board or just a specific feed? Either way I enjoy the app. It was a great police scanner, until that loud buzzing started, which is annoying! Better than my actual scanner! Love it!! Does not stay connected, drops the feed, and says it’s connected when it’s not. It's amazing what goes on in a big city when most people are sleeping. Weekends at 2am are always busy. Sure gives me a greater appreciation for our police force and everything they have to put up with in their line of work.